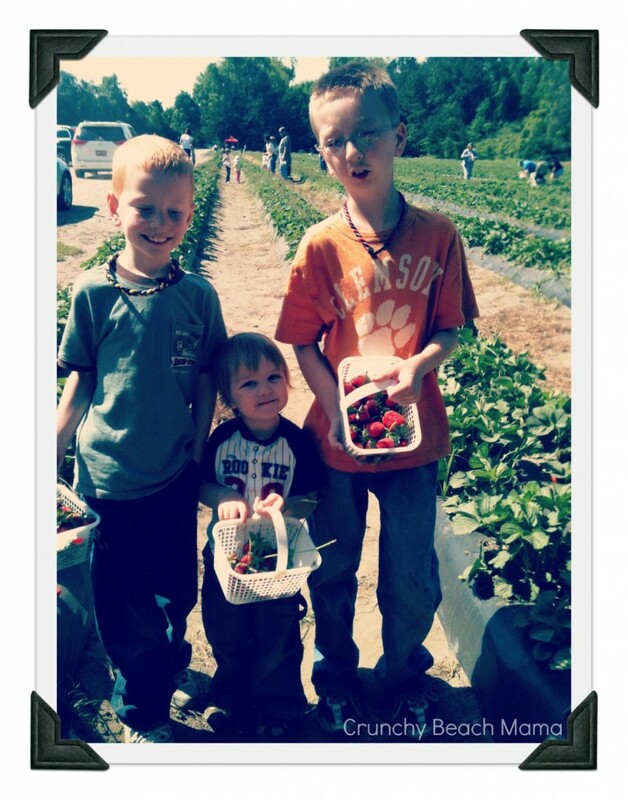 Picking strawberries…we made the best jam! 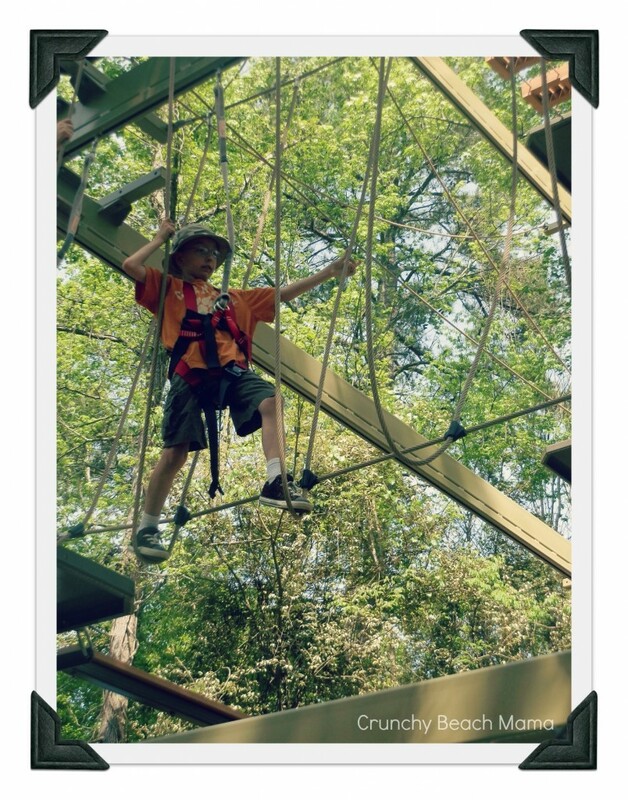 Rope obstacle course…C’Man climbed all the way to the top! A little too much fun in the sand at the beach! 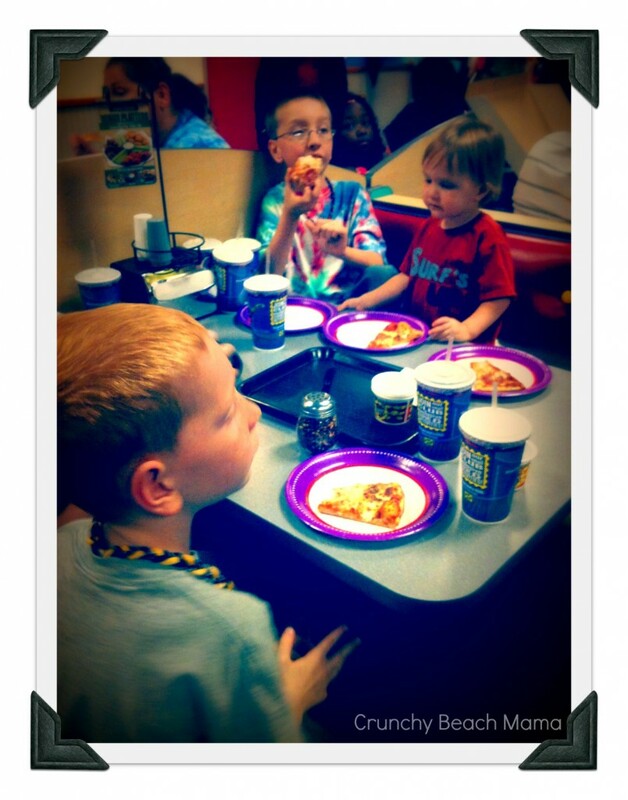 Our last night of Spring Break we celebrated at Chuck E. Cheese! Last time I was there, I was impressed with our restaurant and had kept it in mind for another family night. 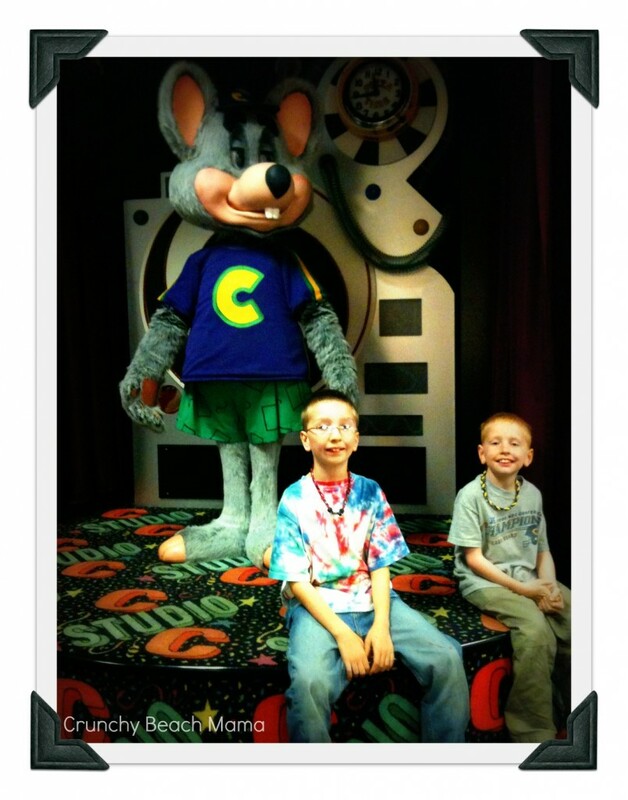 My boys love Chuck E Cheese. I don’t blame them. It is a definite kid’s place. They can be loud. They could play games ALL day if I let them. They lovvvve collecting tickets. I remember my brother and I being the same way. It’s a competition to see who can win the most. We had a pizza dinner while reminiscing about our awesome break. It was a great way to end a fantastic week! Have FuN with your family at Chuck E. Cheese! I received Chuck E Cheese for review and was not compensated in any way and all opinions are my own. This giveaway will end on May 7, 2012 at midnight EST. Winners will be drawn via rafflecopter. Once a winner is drawn I will contact them and they will have 48 hours to reply before I draw a new winner. Giveaway is open to anyone in the US & Canada and you must be 18 years of age or older. Giveaway not affiliated with Facebook & I release them of liability. Winner will be posted in the rafflecopter widget. Green Giant has a Giant Surprise! New Yummy Veggie Chips! We really like going to Chuck E Cheese's. Recently for a family day out we went to a movie and dinner. We always play games but we also just had an outdoor games party. WOW you packed a LOT in - sounds like SUPER fun! I haven't been to Chuck E Cheese in forever! I think I only went a couple times as a kid... if I win, this will be A. 's first trip! :) YAY! Special family times lately - um... Dairy Queen? :) We have been a bit busy of late... need to get out there and do more. Also - hubby's school vacation week was cancelled b/c of that snowstorm last October so... total bummer. We did an Easter egg hunt in a beautiful field with just my 2 kids and husband. MY kids would love this and so would we! Thanks so much for the giveaway! We love going out as a family. We don't do it often enough. We just enjoyed a weekend at camp! We haven't been doing much. Trying to save for a vacation. We have been enjoying this great weather with family trips to the park! Took my granddaughters to an indoor waterpark during spring break. We try to make every night special. We watch alot of movies and have snacks and cuddle. Just love spending time together. My sister and family always visit for spring break which is also my birthday! Fun Fun! The most recent family outing we have had is one of my son's soccer games. We're heading to New York tomorrow. We go for walks several times a week. The first and only time I was at Chuck E Cheese was my 17th birthday (yes, you read that correctly). They've been around f.o.r.e.v.e.r (smile). Great memories. We've been taking frequent trips to the park - it's a nice little walk from our house and we really enjoy it! What a successful and wonderful spring break. I wonder what summer break will bring? We also went to Chuck E. Cheese over spring break. It rained a lot that week where we live in Arkansas but we did get to go explore some creeks, springs, and hollars around our house. we just got back from the farmer's market!! Went to park then beach this weekend. We visited the Atlanta Zoo last Friday. we actually went camping last weekend! thanks! The latest activity was bike riding and my grandsons were in the bike trailer! We recently took all the kids and a friend each bowling and out to eat. My little girl and I ate breakfast together and then watched her cartoons together. Now it's cuddle time. We had a family night of playing Wii against one another. We went to see The Three Stooges as a family. 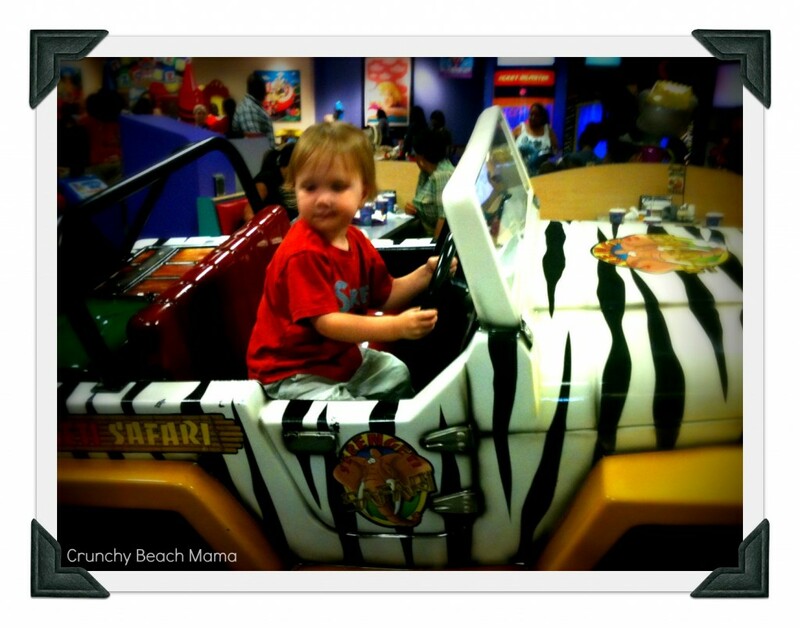 i am planning my son's birthday party for chuck e cheese, that is his favorite place! Went to the zoo as a family. We've started lots of zoo visits, as our zoo just re-opened for the season. We also had Spring Break and we did a Staycation and it was so much fun. We took our dog (and some sandwiches) to the beach on Earth Day and it was a beautiful day. We went for a hike and spent a day building a sandbox. We actually just went to Chuck E Cheese as a family last week! We usually do tons of stuff by this time but this year so far we haven't done anything exciting. I felt really bad for my little girl when she was on her Spring Break because we had planned on going swimming at the Pavallion but didn't get to. We did go out to dinner together. We have a movie night at our house! We do a lot of park days as a family. We've gone fishing a lot this spring. My family and I just visited Galveston Island. 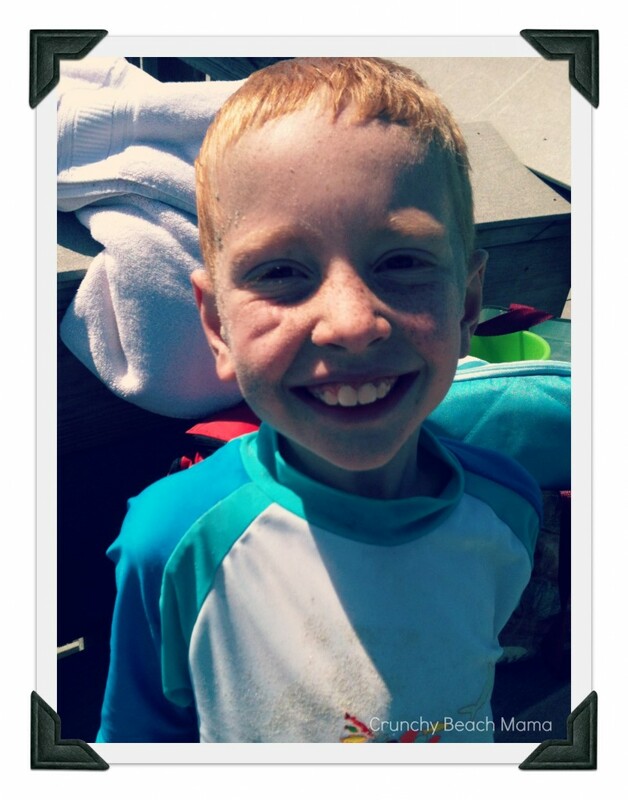 We had fun at the beach:) Thanks for the giveaway! Well every weekend we go biking (barring rain). Did our first quad run to the dunes last weekend! Movie Night with the family! We went to the park and had a picnic and went to the movies too. Took the grand kids to the Zoo! we recently took a road trip to RI and visited family. I haven't done anything lately. We did visit our daughter in August for her housewarming. Spent a nice week in Illinois. Glad it was still warm up there. We went camping at the lake. My 3 year old is a pro camper, and my 3 month old did pretty well too. my daughter's birthday party is today! Went to the park for my nephew's birthday party! 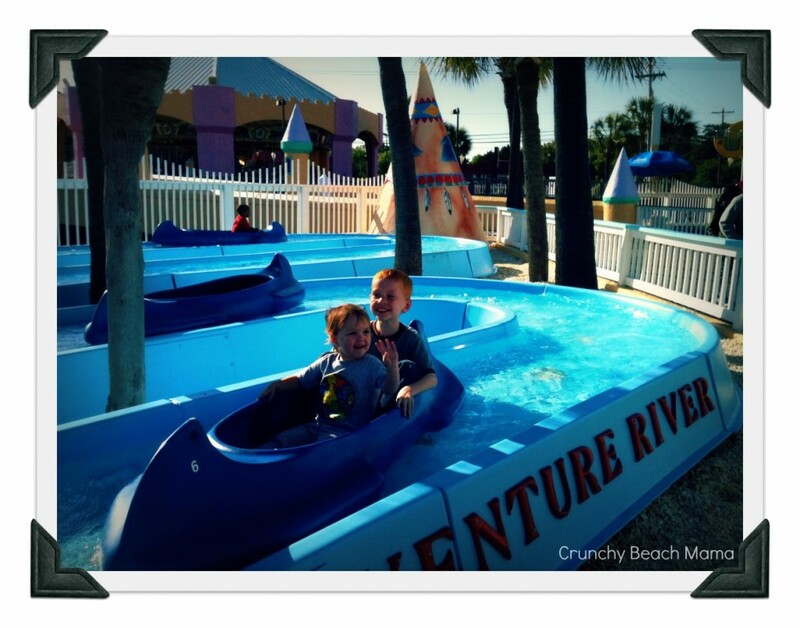 We went to a birthday at a fun local place kind of like Chuck E Cheese, but WAY cheaper! It's called Catch Air! We went on a steam engine train ride. We visited the Atlanta Zoo and the Tennessee Aquarium lately--fun stuff! We recently took the kids to the children's museum in Austin, they loved it! Unfortunately we havent really gotten to do anything since Ky basketball season ended. Looking forward to having some fun. Just got to keep everyone well! We took our little grandsons to their first drive-in movie recently. We had a park day with the kids! Road trip with a favorite audio book. I love listening to audio books with the kids in the car. We went to the movies on Saturday and then played arcade games. I like to take my kids Hiking down the Bluffs or for walks along the Bluffs, fun stuff, when its not too hot.